Lenovo’s new development, Skylight Smartbook as displayed on CES 2010. 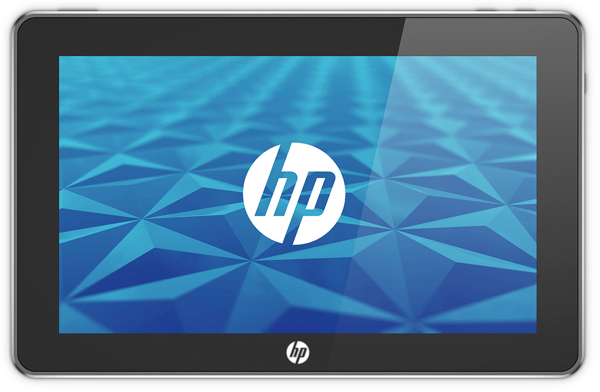 This is a sleek and awesome mobile HD device with a web-optimized interface. 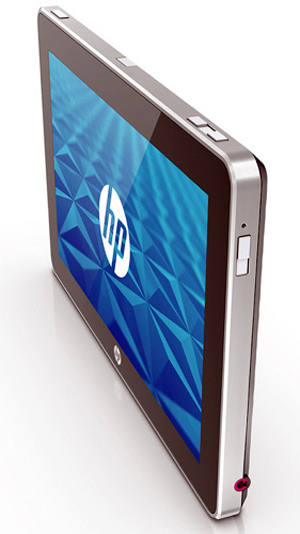 It lets you experience rich computing and media in a portable wireless device. Skylight Smartbook is a device of beauty and brain at one place that means it is a smart and stylish device with excellent performance ability. It has 2 lbs of weight with 10 inches wide screen. It can be easily fit into your bag. No power cords are required with it that means you can carry it with you anywhere. It is recharged just like a mobile phone that takes 10 hours to be charged fully. 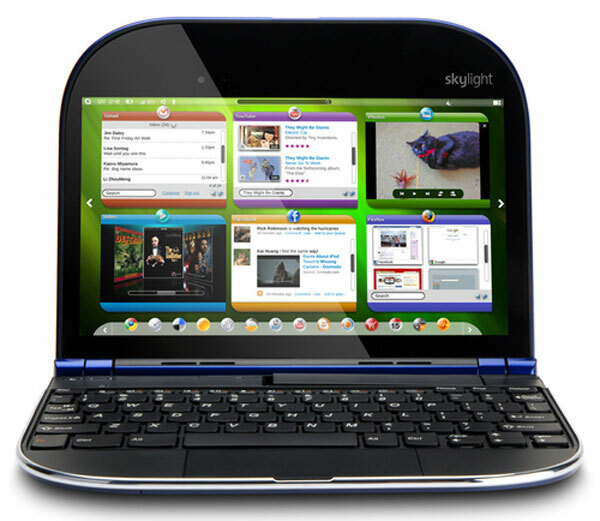 Skylight Smartbook has Linux operating system running on it with an integrated WWAN card and USB thumb drive. It has 20GB storage space out of which 2GB is captured by online data storage. It is capable to hold approximately 6 hours of video and many sounds which you can enjoy while travelling. Using Skylight, you don’t need to continue logging and remember the passwords of different accounts. You can brows web via custom web interface. You can visit Gmail, Facebook and Youtube accounts and once you login it remembers your passwords. This feature surely saves your time while browsing web. Though it looks like a notebook in its size and design but unlike a traditional notebook, it has a keyboard where you can stretch your fingers while working with your Skylight Smartbook. Skylight is the best digital solution to the mobile users who look for a compact device to experience rich media and web features with excellence of performance. 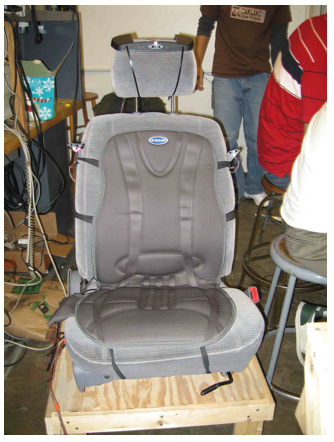 It is available in glossy blue and earth red colors with price of $499. 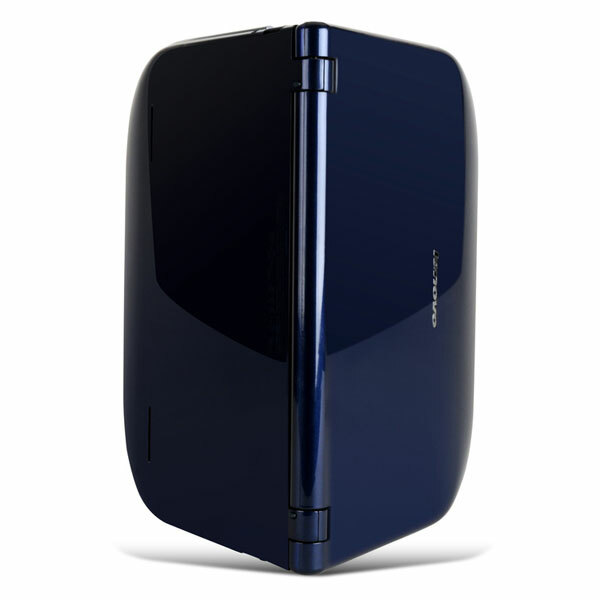 It is exactly what you may require to enjoy the web wirelessly. 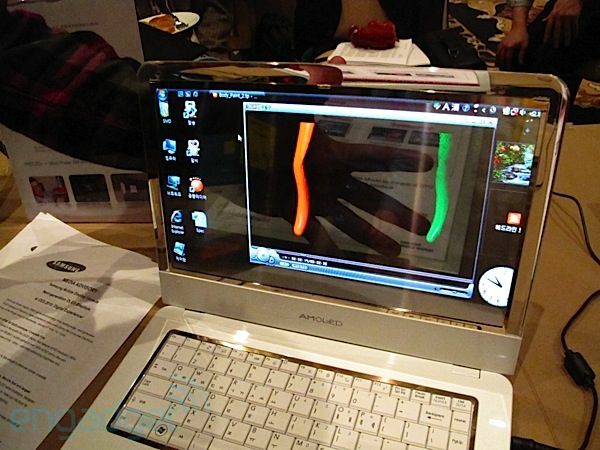 Samsung unveiled their new development in International Consumer Electronic Show 2010, the Transparent OLED Laptop. This is the world’s first largest transparent OLED prototype. People took great interest in this development for its unique and stylish transparent look. Complete details of its technical specifications are not yet revealed but the most highlighted feature of OLED Laptop is obviously its transparent screen. You can see across the 14 inches wide laptop screen while you are working on it. 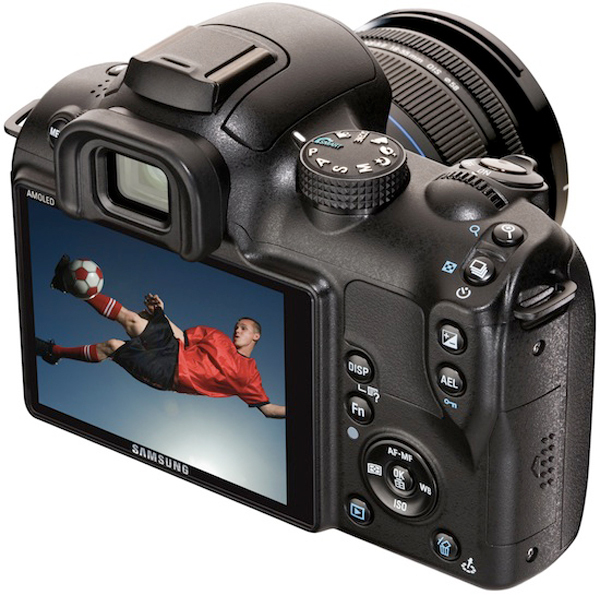 It has strong resolution to show images with higher contrast. It comes with 40% transparency as compared to older transparent screen gadget which held 25% transparency. It is also not revealed yet when it is going to be ready for launching. 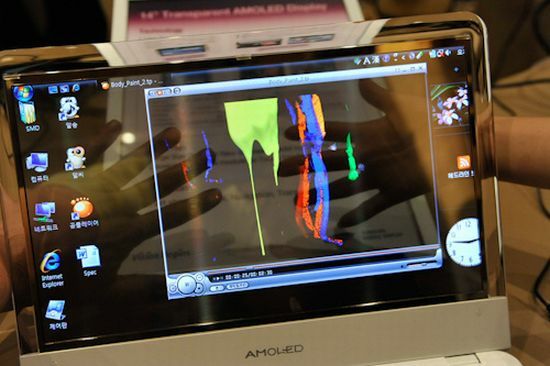 A lot of gadgets and electronics come to the display on CES but users never hear about those coming in market. The most amazing and interesting aspect of OLED Laptop could be if I had had it, I could see my pet cat playing in my room while I typed on the screen. I cannot say more until I get some news from Samsung about this awesome development. Moreover about this laptop, you can reveal on seeing this video. CES every year brings a lot of electronic devices and gadgets which come to user market and a lot of concepts that remain only to the CES display. Kilpsch brought their Light Speaker System in this CES. Kilspch LightSpeakers are the award winning device at CES 2010. It made it easier to enjoy music anywhere with high quality sound. This is a wireless speaker system with LED light bulb. 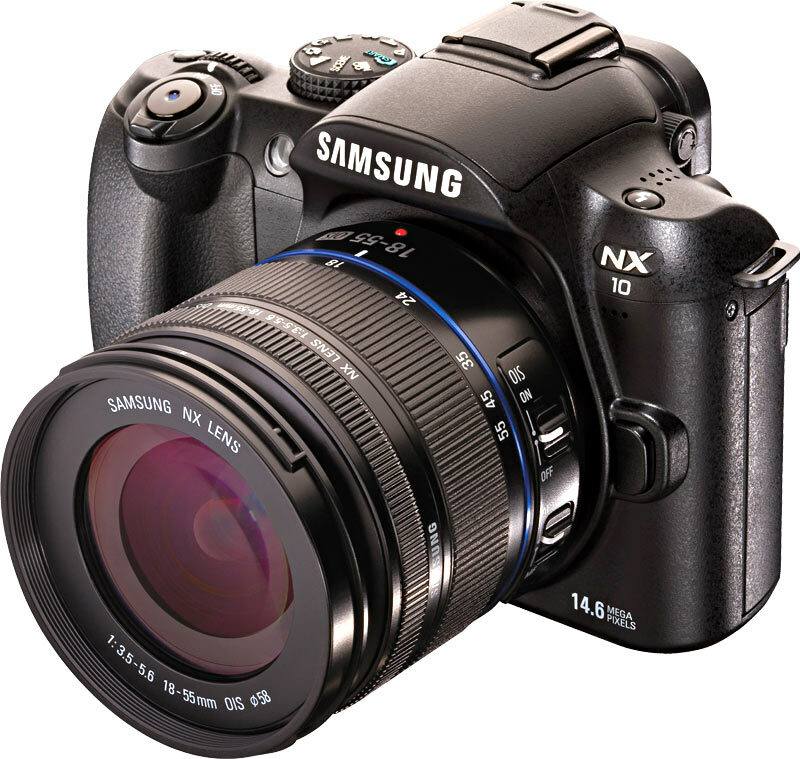 It comes with a transmitter, radio frequency remote, mini jack lenses and trim. You can put them anywhere as they are portable and control them via remote. This LightSpeaker System has combined the LED lighting and wireless ambient sound in a single unit very efficiently. You will really enjoy having a portable stereo system. In a Kilspch LightSpeaker System, transmitter holds the size of 5.9 x 7 x 2.4 inches and remote is of 2 x 5.1 x 1.2 inches of size. 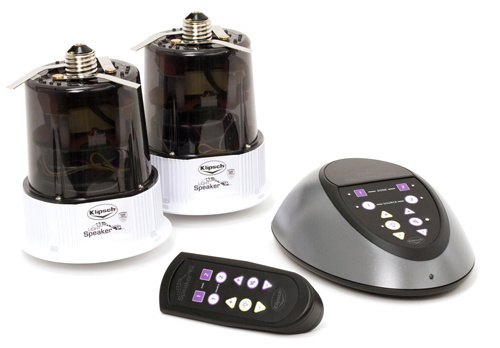 A single set of LightSpeaker System contains 2 LightSpeakers, RF remote, 2 AAA batteries, 1 transmitter power supply and some other accessories with total weight of 1.14 Kg. It is capable to generate 93 db of acoustic output which means quality. The transmitter holds 2.4 GHz transmission rate for two speakers located at different zones. It has buttons to control for Power On/Off, Volume Up/Down, Mute, Light Dimming Up/Down and Light On/Off. Its digital amplifier holds 20 Watts that are capable of digital signal processing. LED Light holds 10 Watts of life that are controlled either by remote or transmitter light buttons. LightSpeakers support approximately 90Hz to 20 KHz of frequency response. Kilspech LightSpeakers are space saving wireless sound solution that saves your 80% of lighting expenses daily and its easy to install. All of its functions are controlled by remote or transmitters. This is an ideal device for the people with great musical taste and looking for portable wireless sound solutions. It is now available in market form January 2010 and price ranges between $250 (for single unit) to $599 (for 2 speaker system).